Women have long been underrepresented and underrecognized in mathematics disciplines, despite significant contributions they have made to the field. 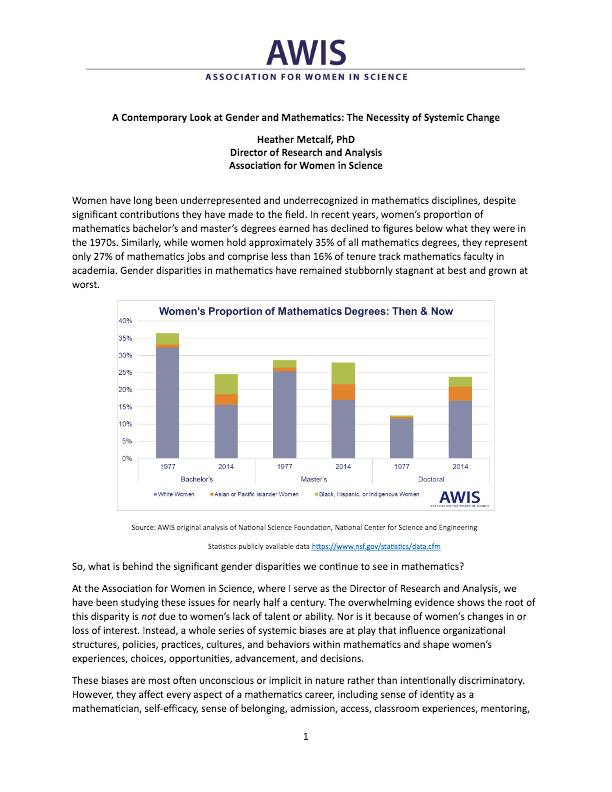 In recent years, women’s proportion of mathematics bachelor’s and master’s degrees earned has declined to figures below what they were in the 1970s. Similarly, while women hold approximately 35% of all mathematics degrees, they represent only 27% of mathematics jobs and comprise less than 16% of tenure track mathematics faculty in academia. Gender disparities in mathematics have remained stubbornly stagnant at best and grown at worst.